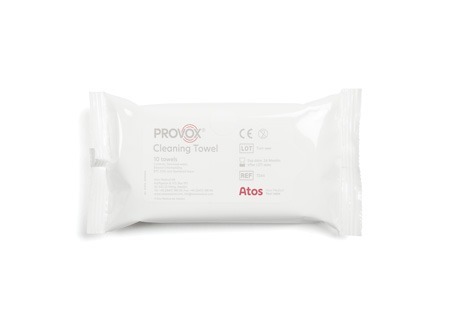 The Provox Cleaning Towel is designed to help clean around the stoma before putting an adhesive on. Remember to let the skin dry for a couple of minutes. It is alcohol-based and non-perfumed.